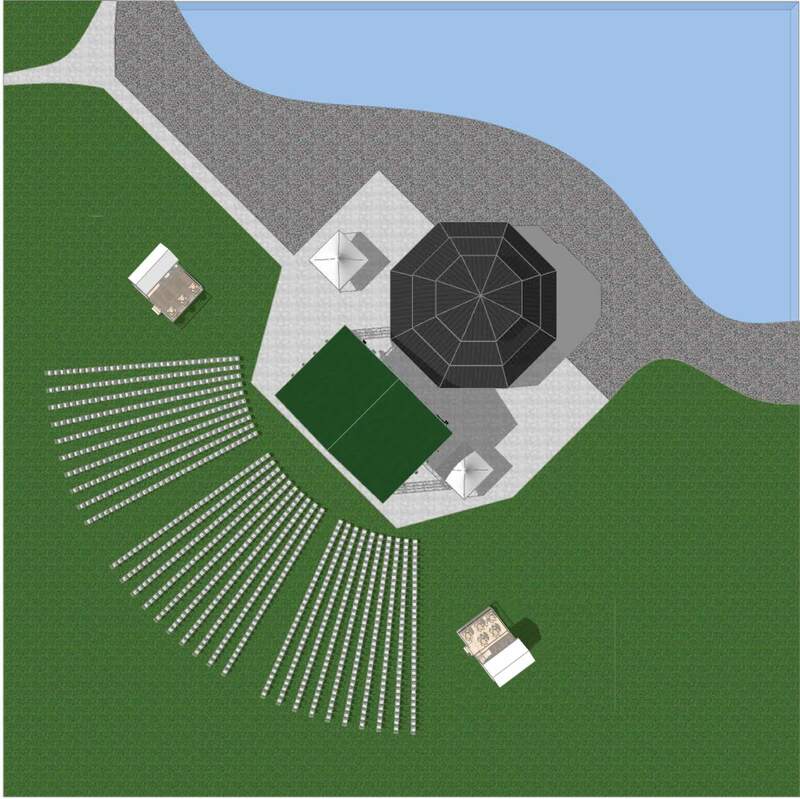 Introducing the VIP Party Deck at Gathering on the Green! This exclusive and branded deck is perfect to entertain your clients, families, friends and employees. The deck features a covered elevated rear area and an uncovered front patio area and is located between the reserved seats and the lawn area. The elevated deck guarantees an unobstructed view of the stage. The included amenities include hi tops, round cocktail tables and chairs, railing, signage, lighting, light food and a bar with bartender service. Extra guests (on the lawn patio in front of the decks) can be accommodated at an additional charge. The size of the decks and number of attendees can be adjusted subject to an additional charge. The deck (covered or uncovered) can be expanded in 12' x 20' sections. Each section can seat 20 people. Pricing upon request. See below for the VIP deck locations.